The more I experiment with my skin, the lesser I do with my hair. While my skin rarely ever throws a tantrum, my hair on the other hand requires a whole lotta care and pleading to the gods for it to look remotely manageable and polished. Being a beauty blogger, it gets difficult not to change my hair care routine constantly to try out new products but its something I usually try to avoid. 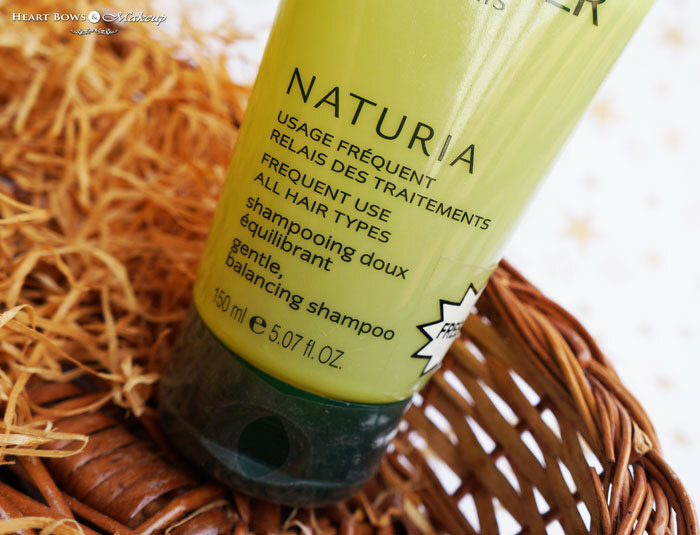 However, when I recently received the Rene Furterer Naturia Gentle Balancing Shampoo I wasn’t at all hesitant because of its natural ingredients and claims of being extremely mild and gentle on the hair. So read on to know how well it fares on it claims. Rene Furterer Naturia Gentle Balancing Shampoo effectively removes dirt excess oil and other impurities from your hair without stripping it of excess moisture. Basil extract preserves your hair s pH levels while vitamins B5 and B6 hydrate and rebuild damage. Fresh aromas of basil and mint blend with black currant for a clean invigorating scent. The texture of the Rene Furterer Shampoo is a bit on the runny side. It is pale yellow in color and has a beautiful and light floral scent which sadly does not linger on the hair. The scent is quite mild and will not bother those with a sensitive nose. The shampoo is perfect for those experiencing hairfall and tend to wash their hair regularly. The Rene Furterer Naturia Shampoo does not lather well which leaves me feeling unsatisfied. Its usually a great thing if shampoos lather less as it means they conatin low SLS content but personally I hate it as I just end up using more product. The first time I used it, I felt I would require more than half of the tube to adequately clean my hair but surprisingly, despite the lack of foam it managed to clean my hair quite well. Like I’ve mentioned previously, I have dry and damaged hair which underwent alot of coloring this year and L’Oreal Absolut Repair Lipidum Range worked quite well for me. Usually, I’m very wary of shampoos without a conditioner but Rene Furterer Balancing Shampoo managed to keep my hair soft and silky to touch. However, my hair tends to get really frizzy so skipping a conditioner is just not an option for me. 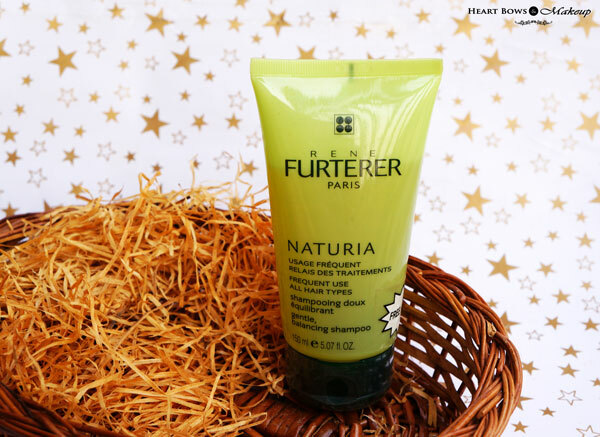 HBM Recommendation: Rene Furterer Naturia is a gentle shampoo devoid of any harsh chemicals which adequately cleanses the scalp and hair despite not lathering well. 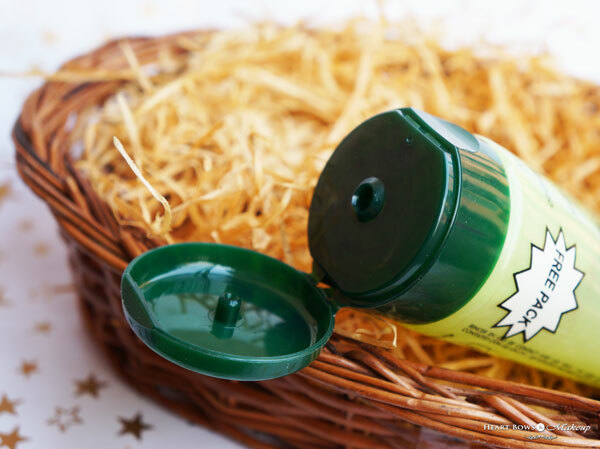 Its perfect for people who tend to wash their hair frequently and are experiencing hairfall. Personally, it did not blow me away for the price it retails at in India.